Guild members who have particular interests form study groups to share ideas, learn and explore and inspire one another in a positive small group environment. 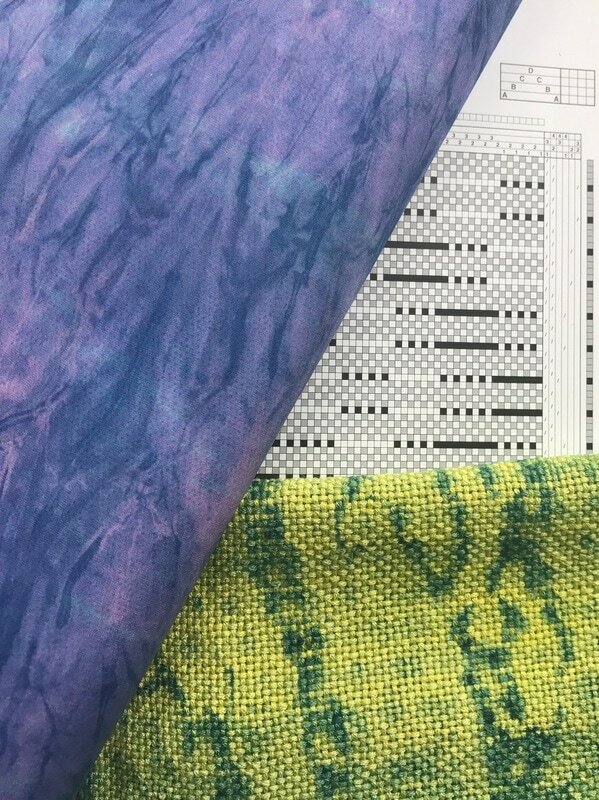 Some study groups focus on exploration of structures like lace, doubleweave, crackle or overshot, or explore color, sewing with their handwovens or any number of topics. These groups meet outside the regular monthly meeting and may be ongoing or may meet only a few times. Any member may initiate a study group by putting a notice in the newsletter or by making an announcement at a general meeting. 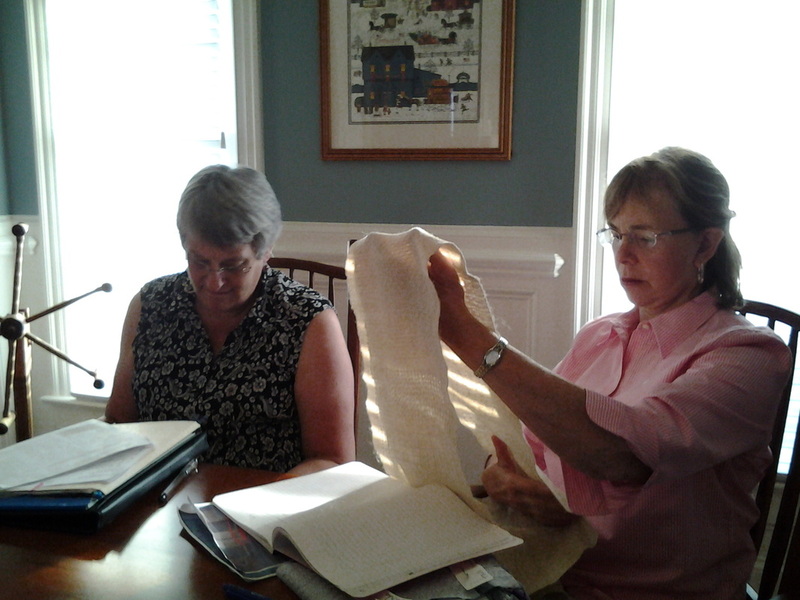 Because some study groups meet in members' homes, the size of a specific group may be limited. Unless otherwise indicated below, most study groups are open for new members to join. Please email the contact listed if you are interested. If you are interested in any of these groups, please send Peggy Sanford a brief email (sanfordm@earthlink.net) and she will add you to the lists. 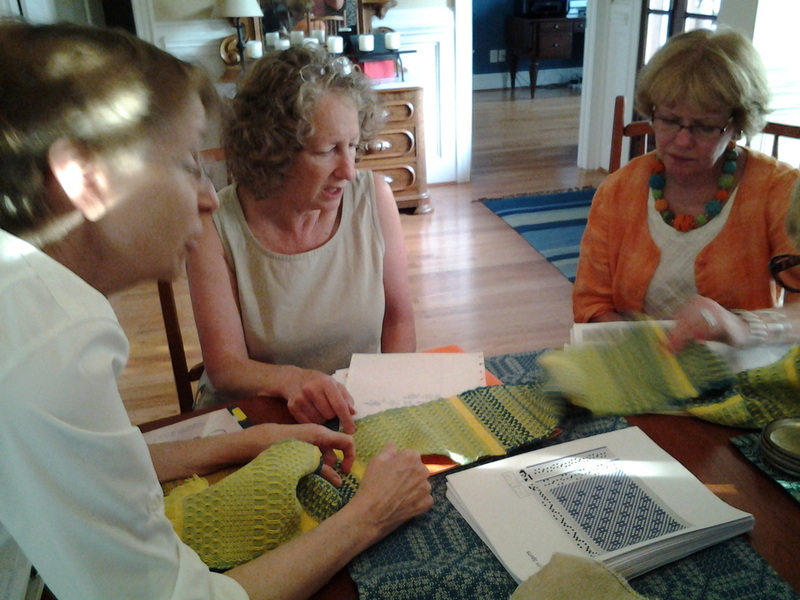 Study groups are a great way to expand your weaving knowledge and capabilities, and to get to know other guild members. This group will meet the second Monday of the month from 12 noon to 2:00 pm at TFAC. The group is self-led with independent projects focused on color. 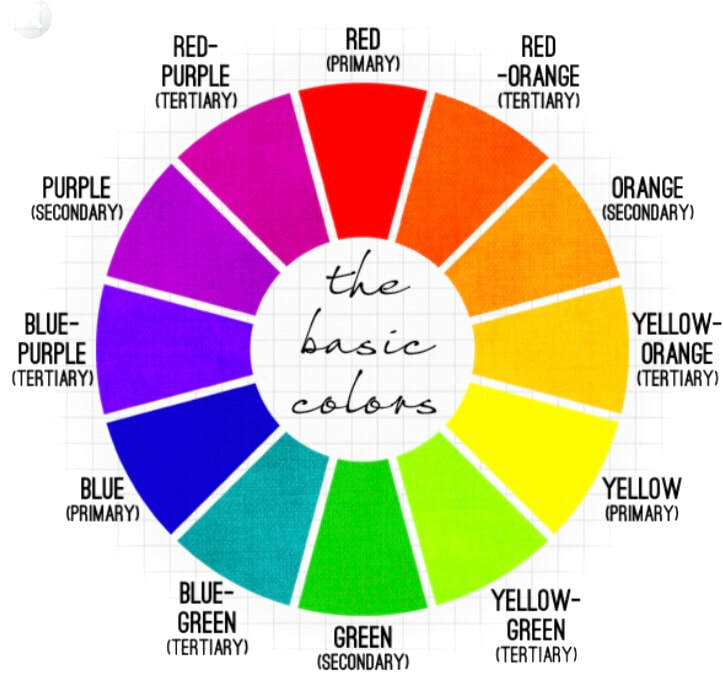 Participants need to have completed the Beginning Color Class. No fee. Contact Ruth Ann Ross at 919-968-9917 or raross216@gmail if interested. 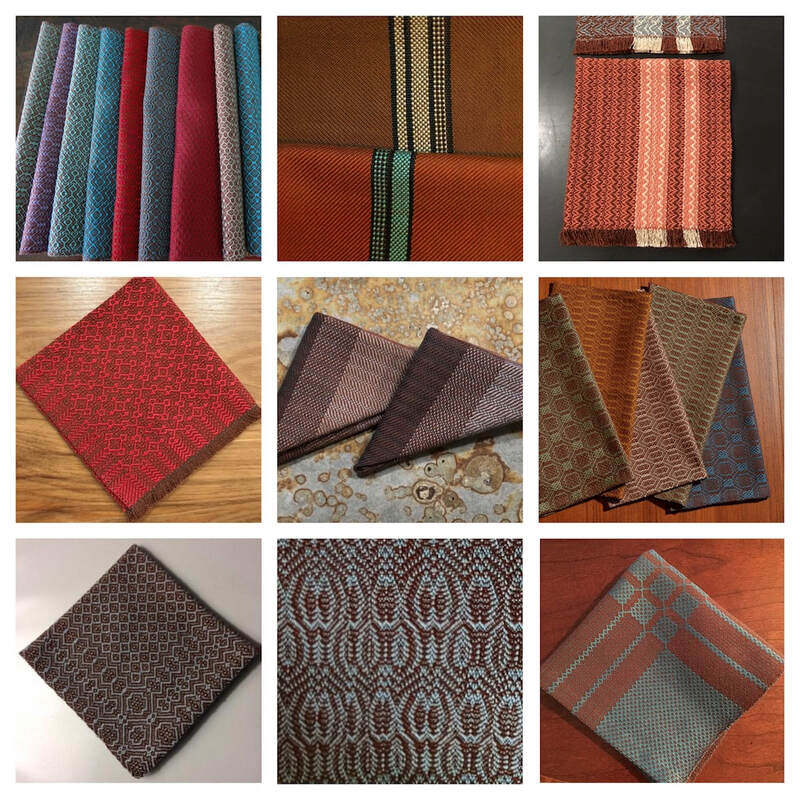 Each month a new topic relating to contemporary textiles is chosen. Members independently research the topic and meet to share and discuss their findings. The focus is on "ideas" and "what if's". This group meets second Monday of the month from 2 pm until 4 pm at TFAC. For upcoming meetings, check out the TFAC Calendar. At present this morning group is at capacity. 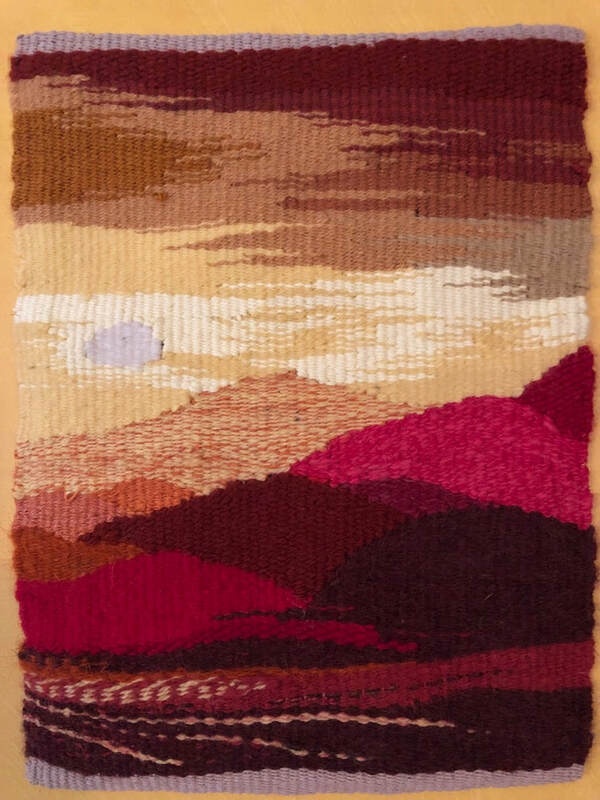 We are forming a new study group specifically geared towards selling your fiber art. 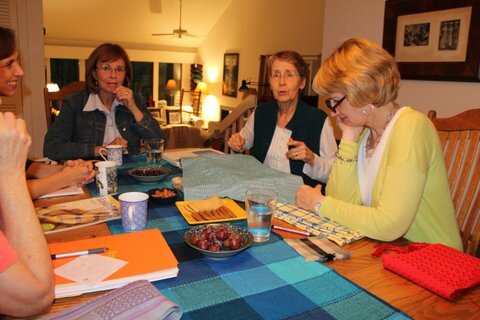 We hope to have a group of people who can brainstorm and share ideas about selling online, improving your online presence, using social media to help your sales, finding and entering craft shows, making beautiful displays at those shows, talk about pros and cons about showing in galleries, etc. 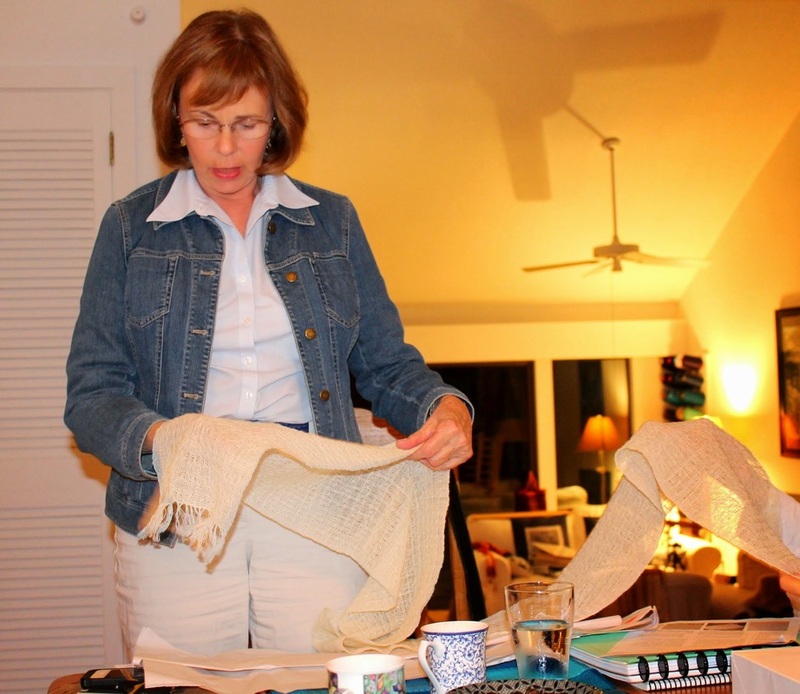 Meetings will occur every month or two at Pattie Lamb's house. 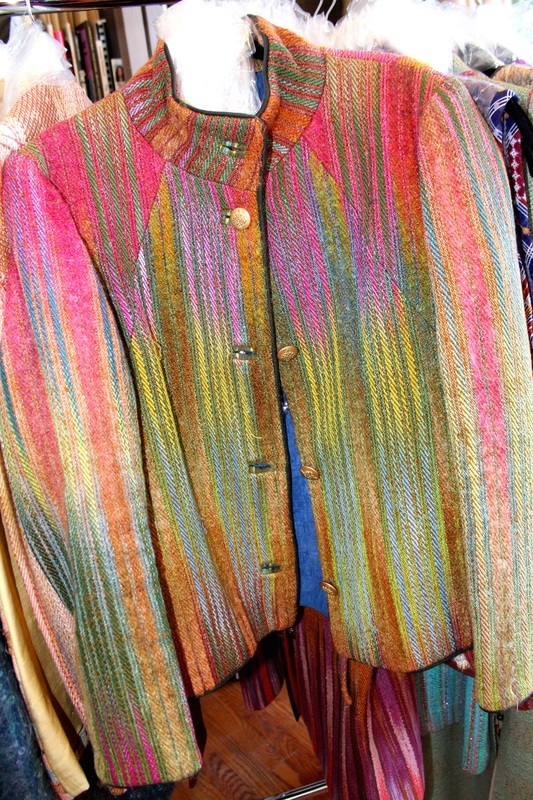 Email Pattie Lamb at lambweaves@yahoo.com if interested. This group was begun following Daryl Lancaster's workshop. 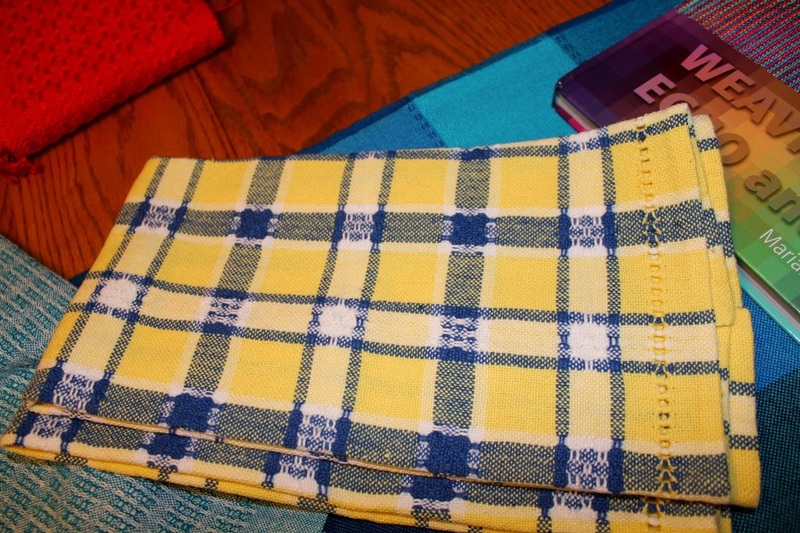 It is an opportunity to pursue the many facets of sewing with handwovens, and we will try to meet once a month as long as there is interest. Usually meets the first Tuesday of the month at 11:30 am at TFAC. Contact Leslie Killeen at lkilleen@pughkilleen.com for the next meeting time, or check the TFAC calendar. 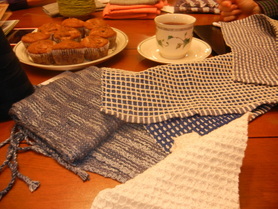 This group explores the variety of Shibori techniques to create resist patterns on cloth, including binding on commercial fabric and hand woven items, as well as woven shibori. Members independently research techniques and create pieces to discuss. 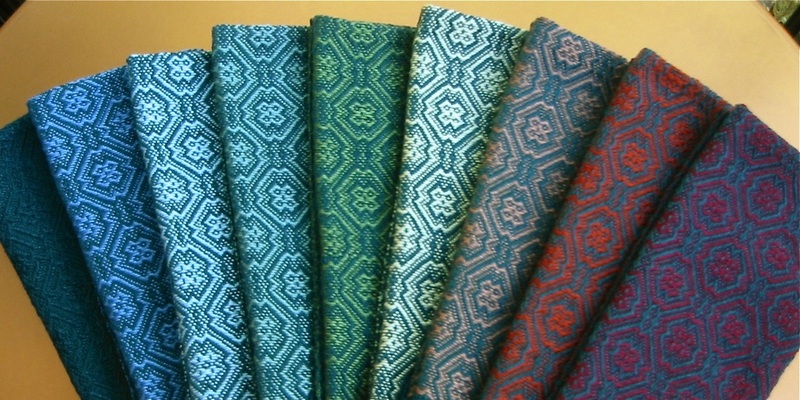 Various dyeing methods, including chemical dyes, indigo, natural dyes, and eco-printing are also discussed. Meetings are held at TFAC on the 3rd Sunday at 2 pm. Contact Kelli Crispin, crispin.kelli@yahoo.com , if interested. A Tapestry group for those who cannot meet during the week with a possible focus on daily diaries. Meets 2nd Sunday of the month from 1 - 4 pm. 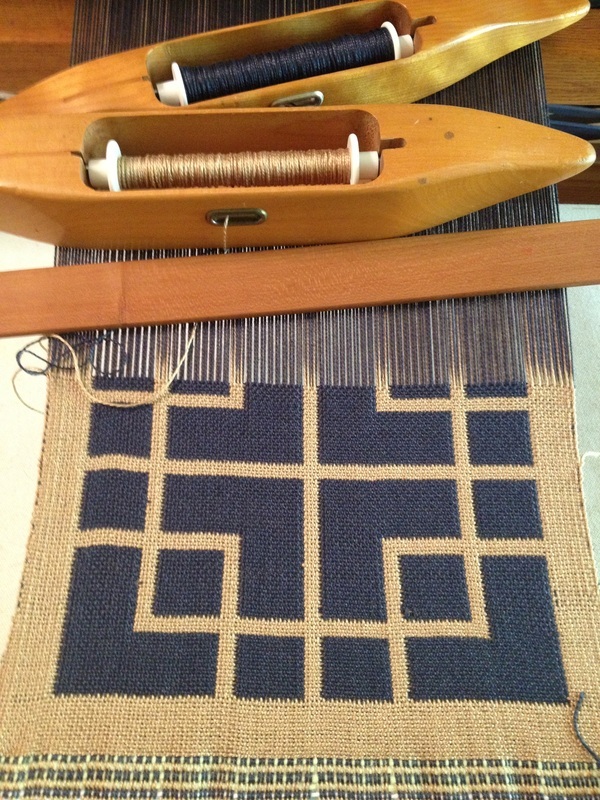 This group studies one weave structure at a time. 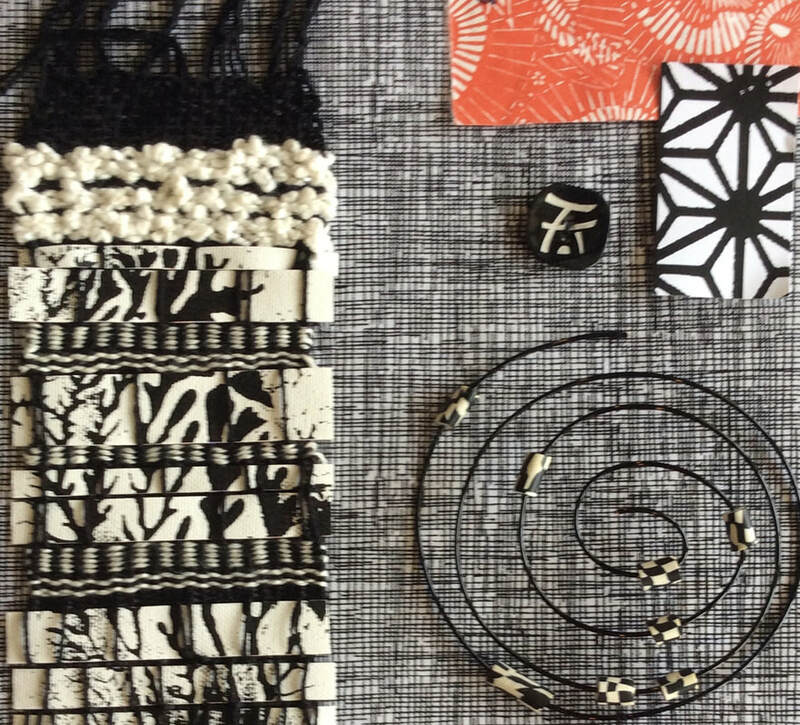 One structure is researched, and participants weave samples and projects that pertain to the subject and share them at our meetings. 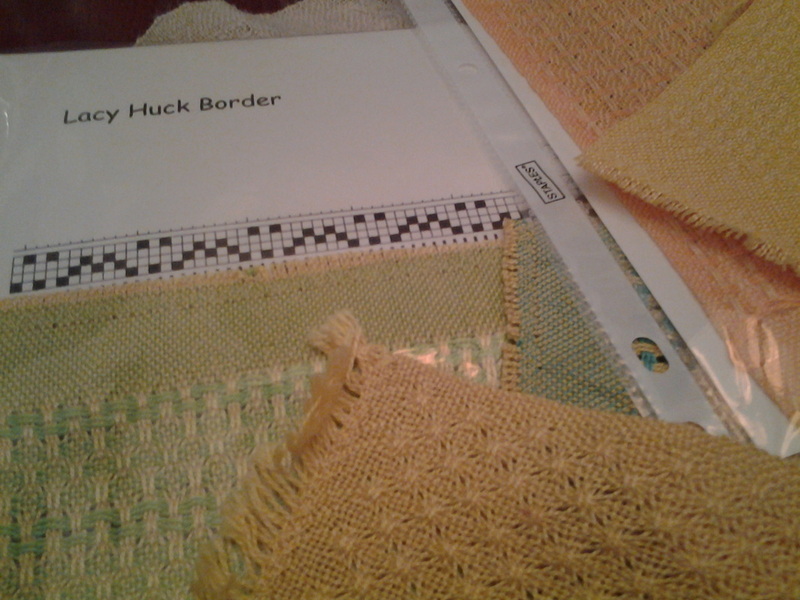 Structures that have been studied so far have included doubleweave, huck lace, turned taqueté and crackle weave. 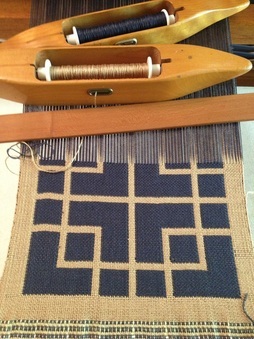 The group offers good support for weavers of all levels. Meetings are on weekday evenings every month or two at mutually agreeable times. We usually meet at TFAC but also occasionally meet at a member’s home.